Epstein-Barr, or EBV, is one of the most common human viruses, states the National Center for Infectious Diseases. Ninety-five percent of Americans in their late 30s will contact EBV. The majority of the time, your symptoms are nonexistent or minor and usually confused with some other mild illness. In adolescents, it may cause mononucleosis. Symptoms include fever, swollen lymph glands and sore throat. Vitamins may help Eptstein-Barr, but always consult a doctor. Vitamin C offers a three-pronged approach to fighting the Epstein-Barr virus. Vitamin C increases lymphocyte production, or white cells, that fights the infection in your body and makes antibodies against the virus. Phagocytes, the cells that scavenge and clean up the viruses, are produced in high quantities, encouraged by vitamin C. And vitamin C acts as anti-inflammatory to decrease any swelling and pain associated with it. 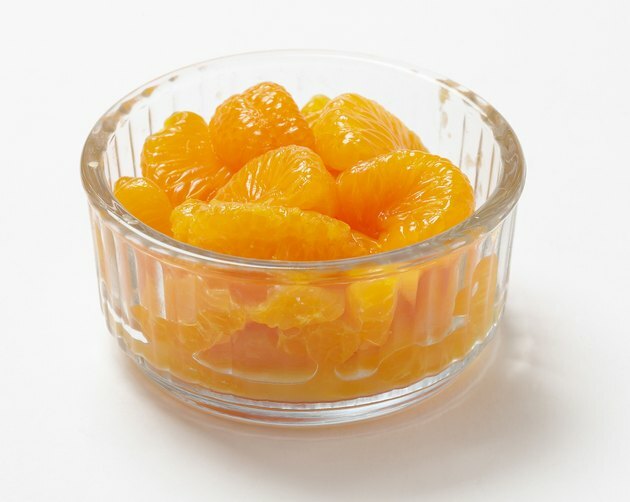 To be most effective, large amounts of vitamin C must be taken until bowel tolerance is achieved, meaning just before diarrhea is evident. A doctor's advice should be sought prior to vitamin therapy. Dizziness and light-headedness are common symptoms with Epstein-Barr virus. This may be due to a nervous system imbalance, especially with the adrenal glands. Adrenal depletion from the stress of being ill may require replenishing the adrenals. The B vitamins may help. For example, vitamin B6 plays an important role in maintaining the immune system; pantothenic acid, B5, enhances nerve transmissions; riboflavin plays a role in iron metabolism, helping with another symptom associated with dizziness -- anemia; and vitamin B12 helps with disorientation and difficulty walking. Consult a physician when starting any vitamin therapy. Other nutrient supplements may be helpful in dealing with the symptoms of Epstein-Barr. Often EBV may cause gastrointestinal upset such as diarrhea, vomiting and nausea. This can cause potential electrolyte imbalance that potassium may help. Agitation, insomnia and anxiety may be relieved with magnesium supplementation. Hypoglycemia, or low blood sugar, has the potential to cause confusion, dizziness and anxiety. A chromium supplement may help alleviate that. As with all supplements, get your doctor's OK first.